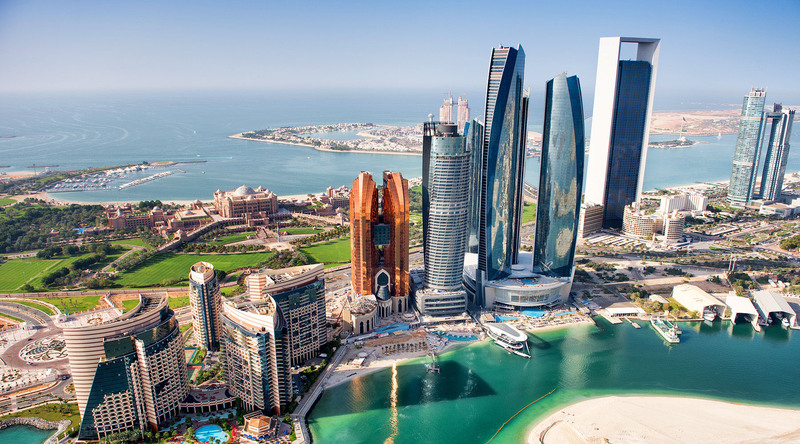 As the capital of the United Arab Emirates and the largest emirate by area, Abu Dhabi is home to the seat of government, the Al Nahyan royal family, and a population of approximately 20% Emirati citizens and 80% expats. But its commitment to local culture and heritage, combined with international influences, is what makes Abu Dhabi an intriguing, exciting, and hospitable mix of new and old. To see a shining example of the new, visit the Sheikh Zayed Grand Mosque. With 82 domes, 24-carat gold-gilded chandeliers, and the world's largest hand-knotted carpet, this architectural wonder offers a glimpse into the area’s soul. To learn more about the past, visit Abu Dhabi Heritage Village and be sure to take part in the very modern tradition of taking a selfie with a camel. When it’s time to beat the desert heat, go for a stroll along the waterfront of Corniche Road to find restaurants and cafés perfect for people watching, not to mention Corniche Beach. And if you crave the cool comfort of air conditioning, shop to your heart’s content at one of the many upscale malls found throughout the city. With 82 domes, 24-carat gold-gilded chandeliers, marble columns inlaid with semi-precious stones, and the world's largest hand-knotted carpet, it’s a stunning place of worship, accommodating 40,000 people. This incredible arcology project combines modern engineery and technology with traditional desert architechture to deliver zero-carbon living. Explore this truly astounding modern development on foot, or in driverless pods, guided by magnetic sensors and powered by solar electricity. This epic four-mile waterfront promenade features bike and walking paths, beaches, restaurants, cafes, and shops, making it a wonderful spot to take in Abu Dhabi and its residents. Step inside one of the most monumental and majestic places of worship on earth, the Sheikh Zayed Grand Mosque. Your open top Big Bus Sightseeing Tour is the perfect introduction to Abu Dhabi. The hop-on, hop-off facility gives you the freedom of choice to plan your day as you wish. Take in the highlights of Abu Dhabi, including Yas Island, Ferrari World, the Formula One racetrack, Sheik Zayed Grand Mosque and more with limited walking.